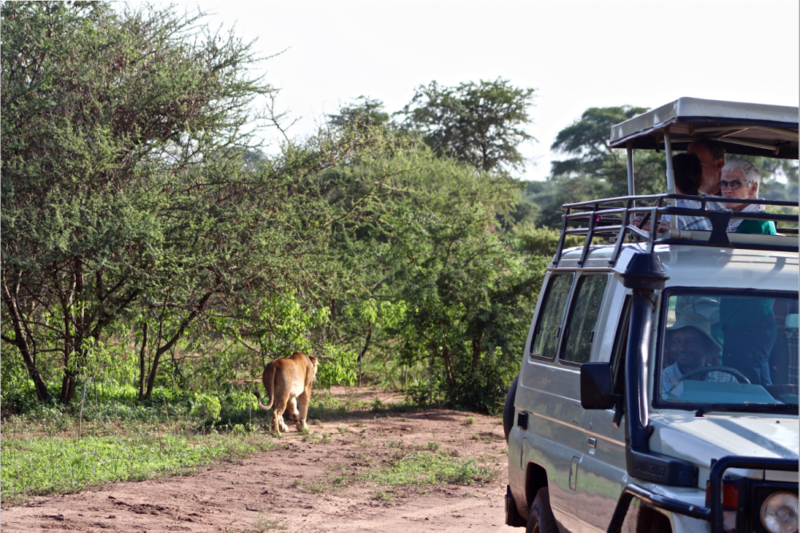 The eco-tourist bubble is the concept that animals, landscapes and ecological processes appear as if by magic, with no reference to the historical and social pressures that has allowed them to emerge; this was not a problem that I encountered as I stared at the lion. Mixed with my feelings of spectacle were ones of guilt and an acute awareness of the conflict that established and perpetuates this lion’s home. This was not undisturbed nature; boundaries do not fall naturally, with people removed from the picture. The disparity of power that established Murchison Falls National Park, Uganda’s largest national park, is perpetuated today. The name itself, a reference to the then president of the British Royal Geographic Society, is a reminder of the colonial past that laid the foundations of the park. A community conservation officer for the Uganda Wildlife Association explained the vision of the organisation: to be the leading, self-sustaining wildlife conservation agency that transforms Uganda into one of the best ecotourism destinations in Africa. The key question – which must constantly be asked is – for whom is the park maintained? The most immediate impact of Murchison Falls National Park on the local people is at the boundary. Human-wildlife conflict is pervasive: elephants, warthogs, baboons, among others raid the farmland around the park that the local peoples cultivate and rely on for a livelihood and food security. One local boundary community talked of the debilitating attention that is required in watching and protecting their crops. Children from this community also explained that they couldn’t always go to school, as they have to watch the farm. Crop raiding has a multidimensional impact on these people. It is not just about the monetary cost – there is exclusion from participation in other areas of life, an issue that these people understand and deal with as a necessary opportunity cost of daily life. Crop raiding is exacerbated at the end of dry seasons as the animals are pushed further away from the park in search of food. This is a crucial link between human-wildlife conflict and climate change. With the increasing instances of extreme weather events, including persistent and extended droughts, animals will be more likely to be pushed from the park to roam for alternative sources of food – thereby putting even more stress on the present conflict. Violence already exists at points of tension between the community, animals and the UWA. Farmers and villagers have to chase the crop raiding animals back into the park, however the UWA will arrest people for participating in these practices. Understandably, these park boundary communities have come to the conclusion that animals (or ecotourism) are being prioritised over the needs of the people. An us. vs. them narrative has been produced by the UWA’s and rangers’ strategy. 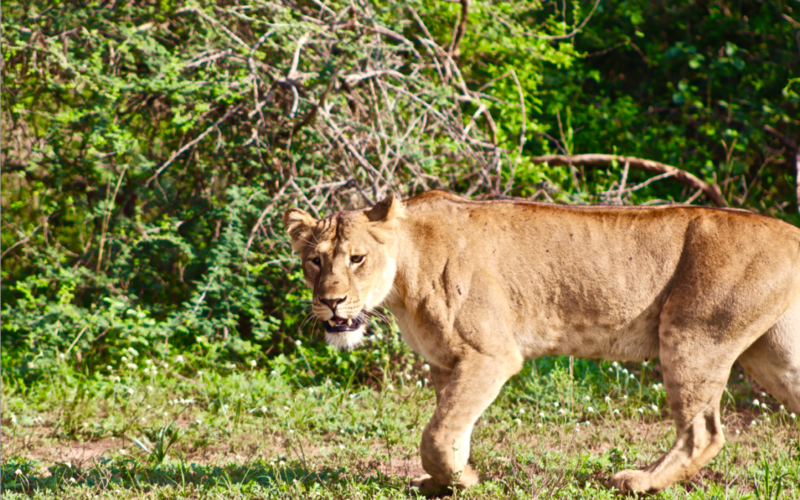 Communities have harmed and killed animals in response – this month there was an incident in which a pride of 11 lions were poisoned inside Queen Elizabeth National Park; The third occurrence since 2007. Losses exist on both sides. Compensation in such contexts are not currently a legal right in Uganda, however, previously compensation was offered creating another site of power disparity and prioritisation. A ‘consolation fee’ used to be present in the cases of death incurred from an animal – compensation of $1000-1500 was given to the family as well as facilitating the transport of the body and other considerations for the funeral. These are not just transactions but social acts that have social meanings. Compensating an incommensurability of loss is to me a boundary wherein money has no place – a price betrays the meaning. Money is put on other lives in the park too. Game hunting is still seen as an essential tool in the UWA’s conservation strategy. The table below shows Adam Clements’ menu of animals or trophies that are available for hunting. Can we then make start to then make the horrible comparisons of how much one human life is worth? 7 Baboons, 2 Warthogs or 1 Bushbuck is one human life equivalent – of course this is not adjusted for inflation since the compensation schemes were ceased. A worrying narrative was produced when talking to a senior manager of the UWA. The us vs. them perspective was produced through a discussion of the causes of environmental degradation and deforestation. Population and environment are inextricably linked and seen as a combative relationship, especially in the context of protected areas. One of the slides in the presentation given by this senior manager read, ‘increasing human population has brought about…’ then preceded to list the following: encroachment, poaching, illegal resource extraction (e.g. timber harvesting), overfishing and species extinction. There was no indication of the social and economic context in which these acts take place or the conditions that produce these acts. What is the role for education in this deterministic evaluation of the problem? Whilst there is no doubt that population pressure must be included in the narrative; the way in which the problem is framed by the UWA makes it hard not to make the connection to Neo-Malthusianism: a school of thought that erroneously places population thresholds (or carrying capacity) at the centre of social issues. Population becomes the issue, to be controlled and pushed against. Nature is then protected through boundaries and rangers – with separation at the centre; it is to be commanded and controlled. Matthew owns Kigaju Forest Camp, 300 acres of land in the Masindi District in Western Uganda. He has rewilded 86 of those acres into forestland that are now home to about 20 chimpanzees – their presence it not without tension. Matthew acts as a mediator to the human-wildlife conflict that exists in the local communities. He also acts as a buffer on the pressure that locals put on the natural resources that are offered by the forest. As he puts it, the poor are ‘forest dependent’. With little in terms of resources Matthew has had a huge impact. He does this through changing social attitudes to what conservation means. He creates new associations, meanings and perception of value within the local community. Social media is one of his key tools that he uses to educate and create a sense of community around the forest. When a chimp died from a poacher’s snare he gave the dates of a funeral and asked the community to participate. People rallied behind the cause. Matthew plants a tree each time a member of the local community dies, he does this to commemorate the individual’s memory, but the significance is not limited to this. This changes the family’s perception to the meaning given to nature. This is a tree that signals loss, it is significant. Thereby through a small act connections are made and attitudes shifted. This is equitable conservation that places actors on the same level. Small acts of education, like the ones Matthew is using, produce community focused efforts, which create social convention, pressure and consensus. Conservation is produced from within a group. Of course there are practical questions to be asked from this. To what extent is this scalable? Is it a sustainable approach? And so on. What is meaningful is that the discussion comes from the community and not imposed from outside. As the UWA cites ecotourism as one of its main goals, the question still remains: for whom is conservation taking place? Community based approaches produce the goals from within, with the more realistic intent of being equitable between actors. I do not intend to produce the narrative the community is homogeneous and without conflict – but discussion is produced from within the group and that is significant. As Noam Chomsky puts it, ‘The burden of proof has to be placed on the authority, it should be dismantled if that burden cannot be met’.